The 2015 Film Club is back at The Venue 1550 at the Daystar Center, 1550 S. State St., Chicago. Hosted by Stephen Reginald, the film club will feature “Hitchcock in the 50s.” Alfred Hitchcock films to be screened, include Rear Window, Vertigo, and North By Northwest. Movies will be screened at 6:30 p.m. on the second Tuesdays of the month, starting March 11, 2015. Reginald will introduce each film giving background information before screenings, with discussion afterward. Reginald is a freelance writer/editor and popular instructor at Facets Film School in Chicago. 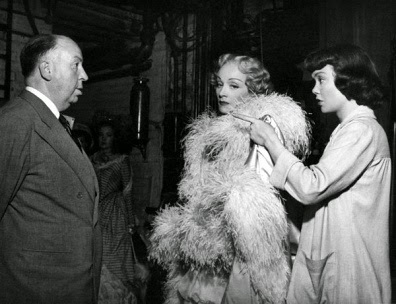 Alfred Hitchcock is one of the most successful directors in the history of film. During the 1950s, Hitchcock, no longer under contract to producer David O. Selznick, was able to produce and direct properties that he truly believed in. During the 50s, Hitchcock produced some of his most famous and commercially successful movies, including Rear Window and Vertigo. Few directors’ work has be dissected and analyzed the way Hitchcock’s work has. Always focused on entertaining the audience first, “The Master’s” work remains fresh and contemporary and ripe for discussion. 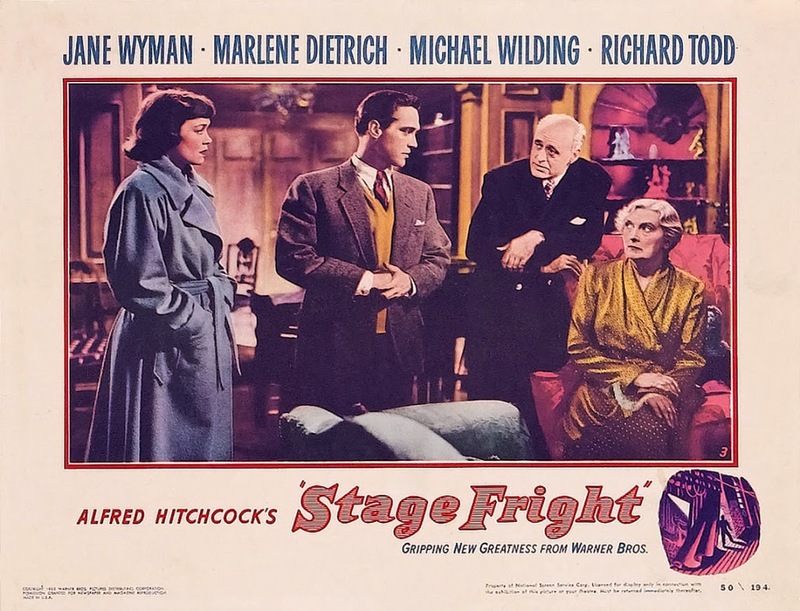 Stage Fright, one of Hitchcock’s most underrated thrillers features great performances from recent Oscar winner Jane Wyman, Marlene Dietrich, Michael Wilding, Richard Todd, and Alastair Sim. Wyman plays Eve Gill, a drama student who becomes a maid to stage star Charlotte Inwood (Dietrich) in an attempt to clear the name of her friend Jonathan Cooper (Todd) who she believes is being framed for murder by Inwood. None of the characters in Stage Fright are what they seem to be, which makes for a very entertaining movie. Filmed in England with a wonderful ensemble cast that also includes Sybil Thorndike, Kay Walsh, and Patricia Hitchcock. Be careful because you may find yourself suffering from stage fright!